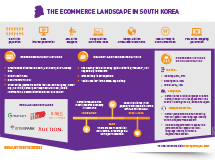 With 72% online shopping penetration, South Korean ecommerce market could be an opportunity for your business. This fact sheet provides you with key insights on how to tailor your international strategy and highlights the opportunities for growth in the Asia-Pacific region. Read it now.